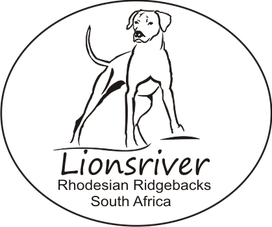 Lionsriver Rhodesian Ridgebacks - lionsrivers Webseite! We are pleased to live with our pack of Rhodesian Ridgebacks at the most beautiful place in the world, the Western Cape in South Africa. 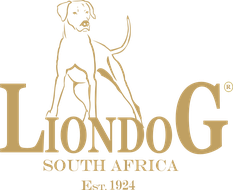 "Liondogs" are our passion since 1998 when we met the first Ridgeback in Kenya. It didn't took long and Animo, the first Ridgeback male joined our family. 5 years later we got Quma, a female with fantastic Ridgeback personality. Unfortunately we never could breed her. We discovered a DS on her. The surgery went well and she spent a long healthy life with us. She was the leader of our pack a lifetime. Three years later....we fetched Denga...for us still the most impressive Ridgeback we have ever seen. He died too early and we miss him every single day. But the good news is that his progeny goes on successful in 10 countries and 15 kennels all over the world. Our dogs are part of the family, living free within the pack, never in kennels but also single socialised out of the pack as best as possible. Or how about to book your next holidays at our Liondog Resort & Guesthouse in Somerset West, South Africa.